The producer of both upcoming films based on the DC universe says he will not cloud the stories by doing crossovers like rival Marvel film The Avengers. Charles Roven has produced a lot of movies, from classics like Terry Gilliam's Twelve Monkeys to not-so-classics like Get Smart and Scooby-Doo, as well Christopher Nolan's Batman films. He was recently asked to take on producing duties, along with Nolan, for the upcoming Superman re-reboot which is currently titled Superman: Man of Steel. Because he's got his thumb in the biggest pies that the DC universe has to offer, rumors immediately spread that we'd see Superman travel to Gotham or Christian Bale's Batman mention Metropolis. Perhaps comics nerds have been a bit spoiled by Marvel spreading its characters over a series of films, blurring the lines between Thor, Iron Man and Captain America's individual movies with a mega Avengers flick. With DC, it's not that far-fetched an idea as the source-material comics and even the upcoming MMO DC Universe Online treats all DC heroes as living in the same world, but Roven has emphatically stated that such a scenario will never happen while he's in charge of Warner's DC adaptations. How do we know? Well, that's what he said when he was asked point blank if the two films will exist in a shared universe. "No. That may be in somebody's mind but right now the Batman lives in his world and the Superman lives in his world," Roven said. "Those stories are those stories and we haven't thought beyond each individual picture." Roven also said that Nolan wasn't looking too far past directing The Dark Knight Rises right now and that it may be the last Batman film from him. "I think that Chris Nolan has said that he wanted to make a trilogy and this is a trilogy. As far as we all know, this is it. This is the trilogy," Roven said. 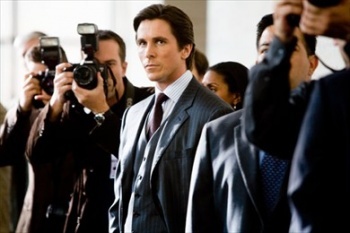 "The Dark Knight Rises is the third part of what Chris created with Batman Begins and we're not looking past that. I've said this about Chris before: I've never known Chris to do anything but focus on the movie he's making. He gets completely immersed in the movie he's doing and I know that all he's thinking about right now when it comes to Batman, The Dark Knight Rises, is making it the best movie he can. He's not thinking, 'Will there be another one?'" So there you have it. The Dark Knight Rises and Superman: Man of Steel are two very separate projects and Christopher Nolan will likely cease directing Batman films after this latest installment. Although it might been neat for a brief crossover cameo in either film, I can't say that I'm disappointed or upset. I respect the integrity of Nolan and Roven for keeping the stories separate.